Shooting is an enjoyable activity, and the more you practice the better you get at it. But the cost of ammo keeps going up so it makes sense to buy the best turret press. With a turret press you can press your own ammo and save money. As long as you’ve got this equipment and fired cases it won’t be that difficult to create your own ammo. But from all the turret presses in the market, how do you figure out which is suitable for your requirements? Not all turret presses perform the same way, with some more productive than than the other. I have had a lot of experience with both good and bad turret presses, and I know how difficult it is to work with a poorly made one. That’s why I came out with these reviews so you don’t have to go through thousands of reviews. 3 What is a Turret Press? 7 Who Makes the Best Turret Press? The kit includes the Pro Auto-Drum powder measure and riser, perfect for all handgun and small rifle cartridges. Available in deluxe and value editions, the Lee Precision Classic 4 hole turret is built for the serious reloaders. The value turret kit comes with an auto indexer designed for cartridges up to 3.13 inches long. The deluxe edition on the other hand, comes with the classic Lee turret that also handles up up to 3.13 inch long cartridges. 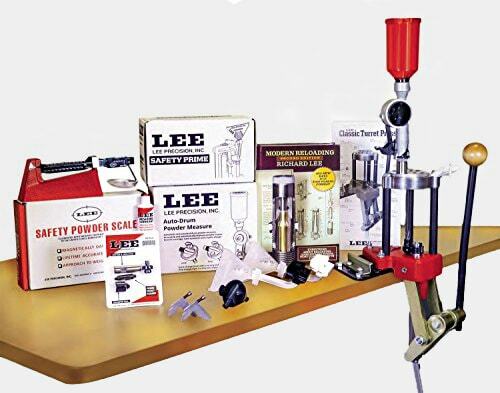 What makes the Lee Classic one of the best turret reloading press is the quality of the accessories that come with it. A lot of the tools that are included are good enough for a gunsmith, and that tells you a lot about the workmanship. The turret kit comes with a powder measure and riser that you can use for long and short range firearms. Large and small primes are provided as well so you can prime quickly. The Lee Classic also comes with an instant change turret so you can quickly replace the calibers. If you want to turn off auto indexing that’s easy to do as well so you can batch load calibers instead. A number of reloading tools are included to optimize the turret’s performance. These include a Lee case sizing lube tube, 2 primer pocket cleaners, a chamfer tool, a cutting utility and a lock stud. The Lee Safety powder scale is included and also case length gauge. Modern Reloading Second Edition is also included, covering 28,000 loads and over 160 cartridges. As to which of the value and deluxe kit is ideal, they’re both good. 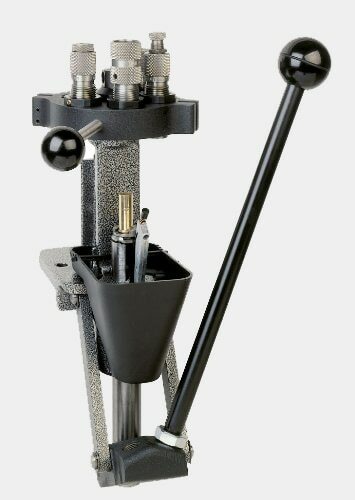 This turret is the one that’s bundled with the deluxe Lee Precision Turret kit, and it remains one of the best turret press for beginners and advanced users. However you can buy this as a standalone product if you don’t need the accessories. The Lee Classic Turret has a steel linkage that allows it to work with various types of ammo. Like the value and deluxe turret, the Lee Precision is built to handle 3.13 inch long rounds, which is suitable for beginners. The Lee Classic Turret also has the biggest ram in the industry and is 100 percent drilled. A cable is also attached that leads to better primer dispensation. Keep in mind you’ll have to buy an auto disk riser if you’re going to use the safety primes and the deluxe powder measure. The Lee Classic Turret is made from solid parts, an indication that it is built for heavy duty work. Setting up fortunately doesn’t take long as the instructions are easy to follow. The turret handles different kinds of caliber without problems. 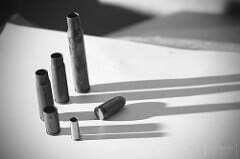 You can reload caliber like the 44 Magnum or the big ones such as the 30-6 and the 308. You can tweak the handle for left or right handed use so you’re more comfortable. It also has a specially designed flat machined base that lets you use it on wood or metal benches. The lee Precision Classic Turret Press is very effective when it comes to pressing ammo and reloading in general. For all its power the turret is still easy to learn. Lyman is no stranger when it comes to reloading products, and the T Mag turret has the trademarks of a quality reloader. Designed with precision, versatility and power, the T-Mag is one of the best turret press for reloading and round crafting. The T-Mag has a silver coating applied on its cast iron frame to prolong its lifespan. The turret also has a compound leverage mechanism that ensures reloading procedure runs as expected. The Lyman is designed for durability and it shows in its capacity. You can use the turret on many popular turrets like the 30-6, the 308 and other calibers. The Lyman turret also functions well with large rifles and pistols. Yes it is designed mainly pistols but it’s just as good for long firearms. The Lyman works best with its own shell holders and dies, but it also takes in those made by other brands. You can for instance, use dies and shell holders from RCBS and get the same results. The user manual for the T-Mag is easy to follow and explains function clearly. 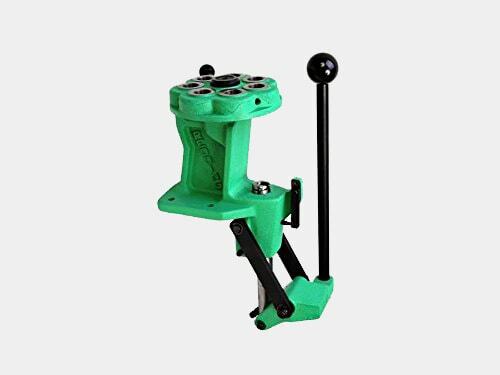 Pressing is accurate and it resizes rounds without a problem. The T-Mag works well on 223 and 308 brass and the priming system is well designed. Once you get the hang of it you’ll realize how easier it is to use compared to other turret presses. The T-7 turret press deserves to be on any list of the best turret reloading press for rifle and pistols. The T7 comes with 7 die stations so you can put dies for 2 or 3 calibers. Once you’ve set and adjusted the dies there’s no need to tinker with them again. You could for example, mount dies for a 9mm and a 223 Remington and not have to do any tinkering. The interchangeable turret heads lets you use several heads and dies without buying another press. Seating the primer is easy. Put a primer in the primer ram pocket, turn the primer as you lower it. Press the handle and send it home. The T-7 does not need a lot of assembly. Just install the handle, give the locking nut a spin and secure it to your bench with the supplied bolts. That’s all there is to the setup and that’s done you can use it. If you want to adjust the turret head just use the knob. Slide the rod in any of the 3 holes and the turret will begin to turn. You’ll know it’s in place when you hear a clicking sound. A smooth round ball sits atop the ram handle. The ball is comfortable to hold so you won’t tire even with extended use. At 14 inches the handle is just the right length for regular use. There’s plenty of torque provided, giving it a powerful stroke. The body is cast iron so it can handle heavy use. 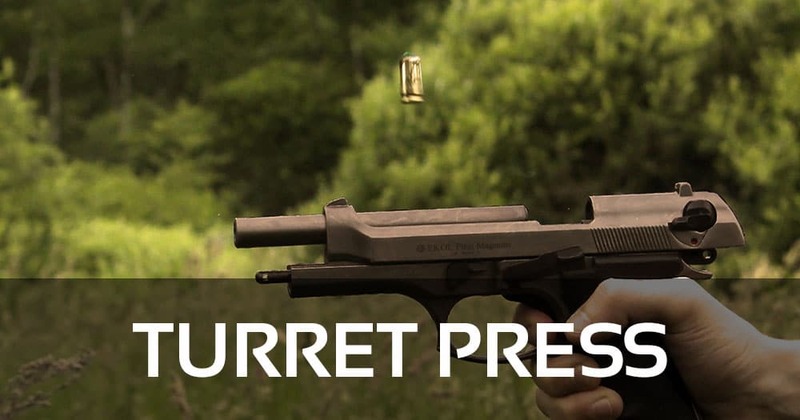 What is a Turret Press? A turret press is right between a single stage press and a progressive press. It does not produce as many cartridges per hour as a progressive, but it is more powerful than a single stage. A turret press is used to make ammo. It can’t make thousands of bullets an hour like a progressive, but it can be used to make hundreds of quality bullets. It is a good option for beginners who may find a single stage press to be too limiting and a progressive press too advanced. If you want the best turret press for. .308 or other calibers, you cannot settle for a second rate product. However, the most expensive is not necessarily the best option. Cost is a factor but far more important are the following. What types of bullet does the turret let you create? Some are built only for rifles, others for pistols and some for both. Even if you only work with one or the other, it is better to get a turret press that supports both. You will never know when you’ll pick up another gun and need to create ammo for it. The best bullet reloader isn’t going to do you any good if it’s difficult to operate. A turret press can do more than a single stage press, but that doesn’t mean it has to be complicated. The turret must also be comfortable to use. The handle should be easy on your hand and the knobs easy to adjust. The set up should be straightforward and all the needed mounting accessories included. A lot of this will depend on your skill level, but the turret’s design also plays a key role. If it is well designed you can churn out 200 or so bullets an hour. Don’t buy a turret press unless it’s from a known brand. Unknown companies may be cheaper but don’t expect the press to last. A good turret press has a metal frame, made of cast iron or other solid materials. It should have a powder coasting finish to add to the durability. I cannot overemphasize the significance of durability. If you’re going to make hundreds of bullets an hour, the turret press must have the hardware to keep up with it. At most you should just put on a component or two and fasten it on the work bench. The fewer components you have to assemble the more quickly you’ll be able to get to work. Don’’t buy a turret press with no positive feedback. Before you buy turret reloading presses think first if you really need it. If you want to create bullets, use modern calibers and want to save on costs buying bullets, then you’ll benefit from a turret press. list the features you need and use that as a guide to buying a turret press. Check the number of stations, if it has automatic indexing, how much maintenance is needed, lubrication and so on. Your turret press kit should come with a powder measure. If not you can always buy one online. There are different types of powder measures, so look for one that matches your needs and is compatible with your turret press. Most turret presses have a reloading manual. This will help you if you’re a beginner and don’t know where to start. If the turret press does not come with a reloading manual you can always buy one. However you have to make sure that it’s written by experts who know what they’re talking about. You should get a safety scale that’s accurate and supports various weight units. Don’t forget to calibrate the scale when you use it. Some of the accessories in these kits are just bare bones. If they are insufficient for your needs, don’t hesitate to replace them with something better. Turret press kits come with a lot of accessories, but the quality varies. Some of these accessories are poorly made and just thrown in as an afterthought. However, some are really good and represent real savings. The only way to find out is to try the accessories and see if they fit your requirements. If you do decide to buy separate accessories, make a list of the essential items. There are a lot of things we can say about single stage and turret reloading press kits, but what it comes down is simple enough. The turret press is more powerful and allows you to create more bullets in less time. The biggest drawback with a single stage press is you can only do things one at a time. This may be suitable for an absolute beginner, but if you want to decap, size, seat and crimp at the same time, a turret press is the way to go. Who Makes the Best Turret Press? 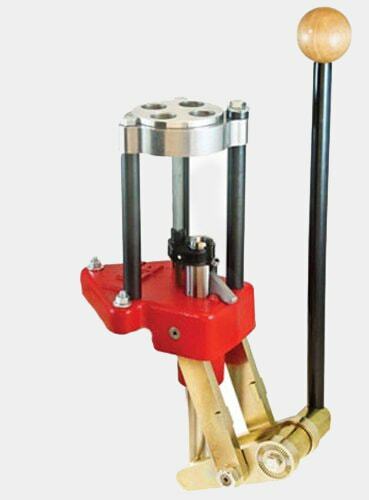 If you want the reloading press for the money, you should buy only from the top brands. Now there are a lot of reloading companies but for the best value I would go with Lyman, Redding and Lee Precision. It is no coincidence that the products reviewed here came from these brands. Through the years they have consistently come up with quality turret presses and keep improving. If you want to get your money’s worth, it’s a good idea to buy from these companies. They did not earn their solid reputation by accident, as it came about by making quality turret presses. As much as I like all turret presses here, the Redding T7 is the obvious winner. Yes the other three turret presses are good, but the T-7 offers a little bit more. The T-7 is powerful, easy to use, and the 7 stations allow you to create more bullets in less time. The cast iron body gives it strength and the reloader makes caliber switching simple. There are a lot of brands and models which say they’re the best, the cream of the crop and so on. But for the best turret press the only choice for me is the Redding T-7. It doe what you expect and much more so I highly recommend it.